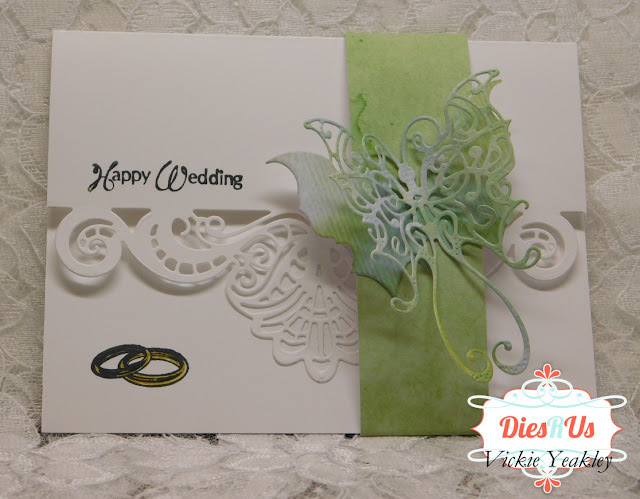 Vickie Y sharing with you today an elegant wedding card that only took minutes to create using dies from the Dies R Us online store! 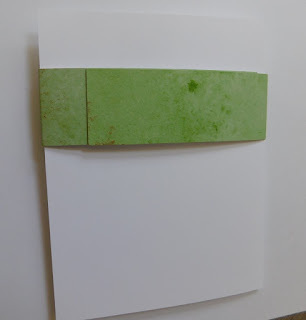 I first created the cardbase using white cardstock cut at 5 1/2 x 4 1/4 inches. 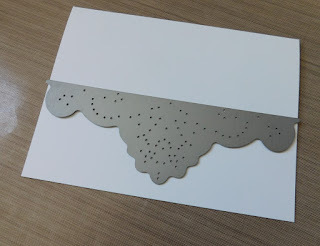 I foled the base in half and centered the Frantic Stamper Ornate Edger die on the edge of the front panel to die cut the intricate base of the card. 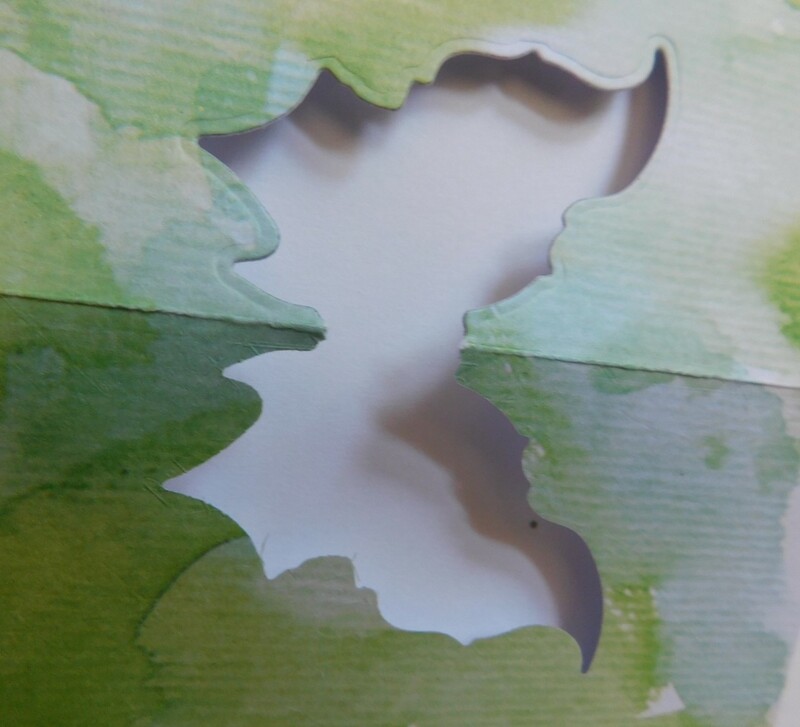 tip: be sure to open the cardbase before die cutting. I then cut a strip of designer paper at 1 1/4 x 12 inches to create a belly-band to go around the card. Next, die cut the Cheery Lynn Small Lace Faerie Queen Buttefly and the Angel Wing die that is included in the die package. 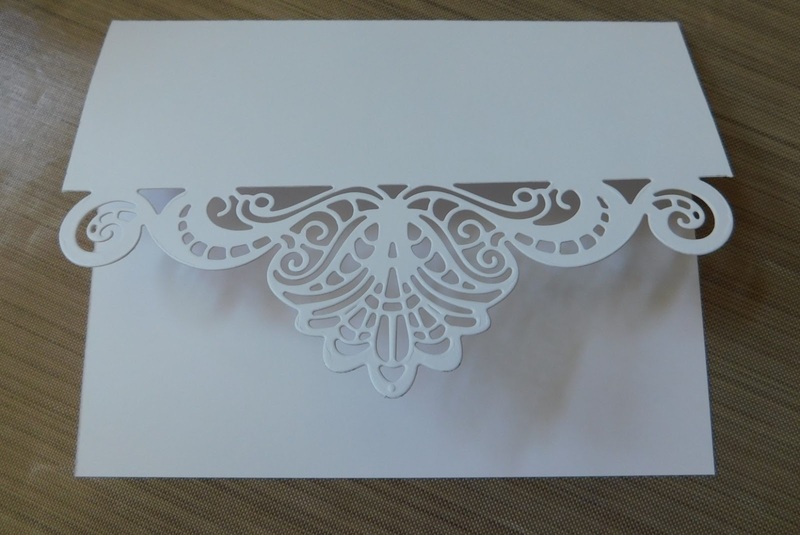 For the Angel Wing die, I folded a piece of scrap paper and placed the edge of the angel wing on the fold to die cut; once die cut, when the fold is opened the wing is fully cut the same size of the body of the butterfly die. 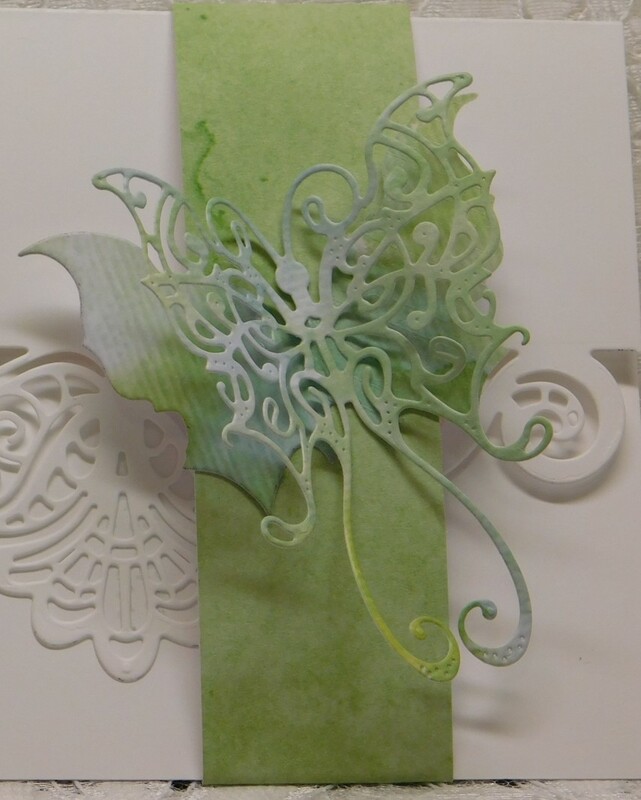 Next, adhere the die cut butterfly to the angel wing and then adhere the butterfly with angel wing to the band. 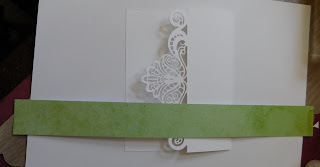 To complete the card, I stamped a sentiment and small image using the wedding theme. Then wrapped the band around the right side of the card. 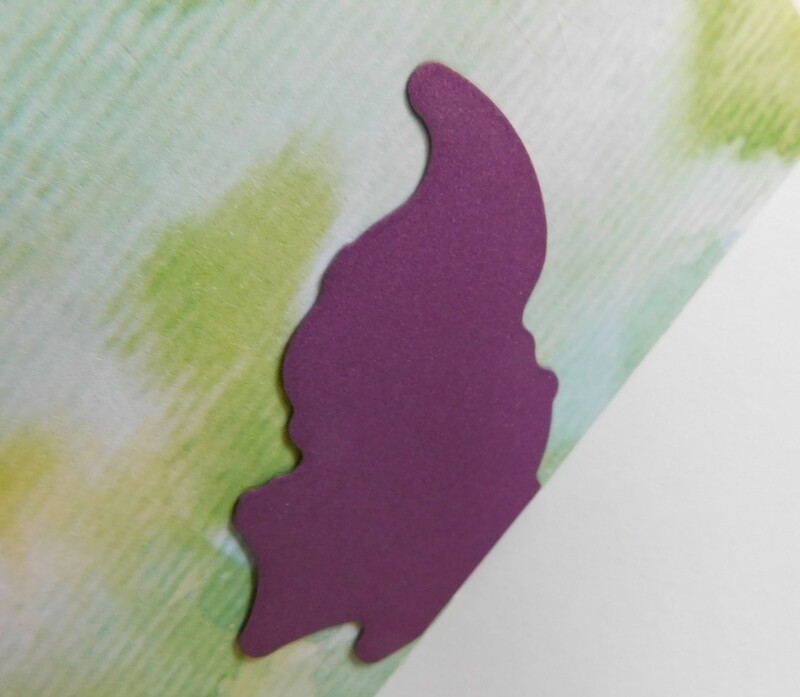 Here is a close-up of the delicate butterfly. 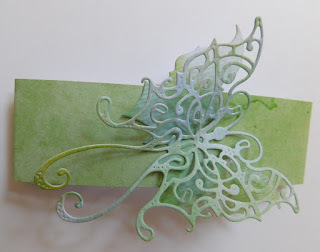 Don't forget to come join in the fun at the Dies R Us Challenge Blog. There's a new challenge theme offered on the 1st and 15th of each month and one lucky randomly drawn winner will receive a gift voucher prize to the Dies R Us Store. For your convenience, all the important Dies R Us links are provided below. 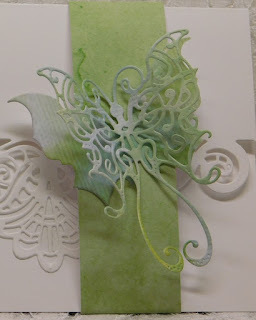 Speechless...gorgeous card, Vickie! The butterfly is beautiful! Stunning! This just proves how much can be done with just 2 dies! This is stunning! What a great choice of dies! 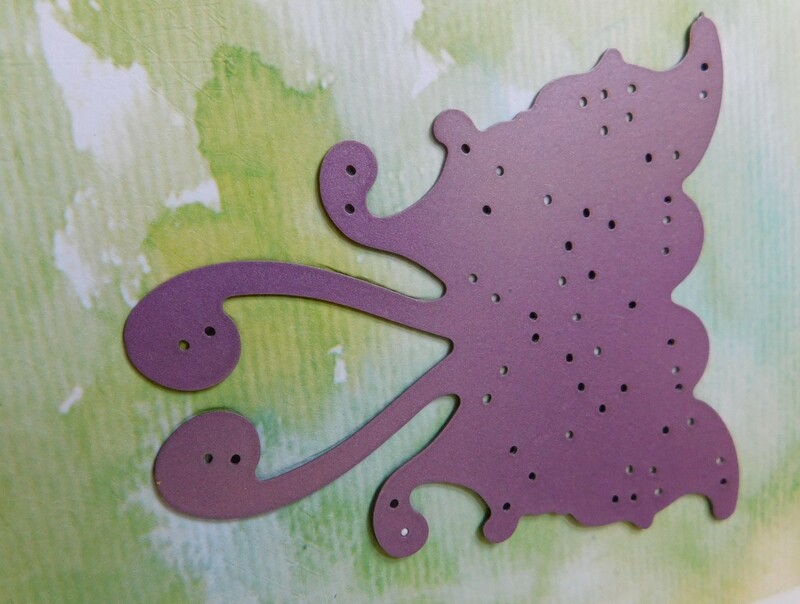 What an alluring Wedding card. Love the pop of color on the band and butterfly. 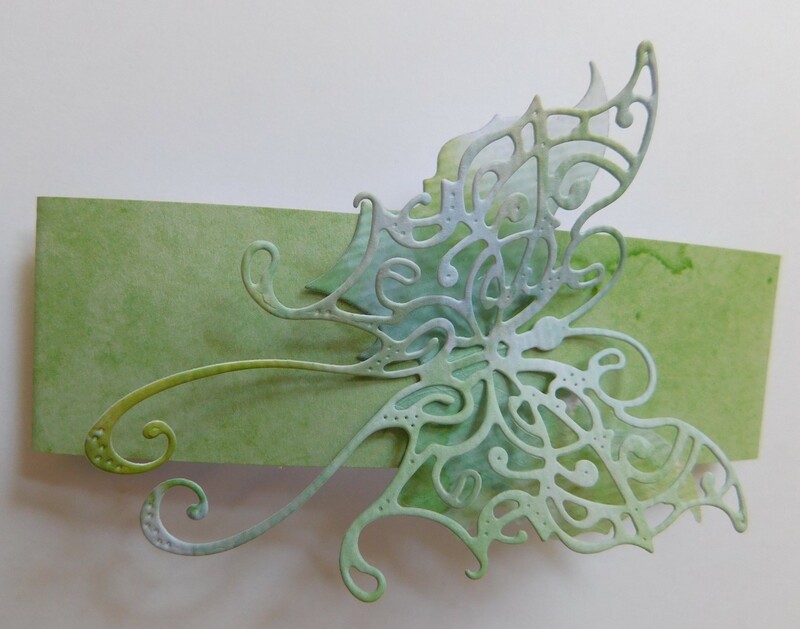 Absolutely BEAUTIFUL and I love your design ... what a fabulous & elegant idea! Thanks for wonderful inspiration using dies Vickie! Gorgeous. 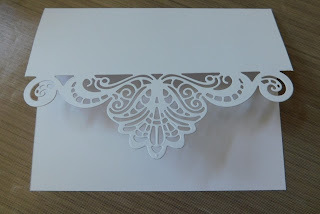 Wedding cards are always hard for me. This one is so beautiful with the ornate edge. A Garden Note . . .
Wishing You Happy Everything . . .